Yo-Yo Badge Reels & More! We have been specialists in ID Card systems for 20 years and today provide both turnkey and bespoke RF ID card systems to private businesses, public sector, clubs, and other types of organisations with closed user groups. If an “out of the box” system doesn't meet your needs, our in house pre and post sales team will design a bespoke solution that does! We specialise in solutions delivering inline personalization for plastic cards such as MIFARE® Classic and DESFire. We also sell plastic card printers along with all their associated consumables. Today, increasingly, customers are choosing RFID technology, and our supplier of choice, RF IDeas, manufactures the market-leading range of proximity card readers and writers. Windmill has been RF IDeas' main European distributor since 2004. We can create a bespoke system to meet your needs and your budget, giving you flexible, reliable solutions both for building entry and for other ID needs. 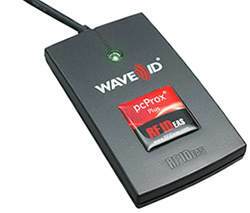 We offer a full range of RF ID card readers and writers. We offer a full range of identity card products and services. We stock a wide range of dye-sublimation and thermal ink ribbons and cartridges for your ID card printer. We have thousands of RF ID cards in stock and ready to ship including MIFARE®, Paxton Access, HID Prox II and iCLASS. 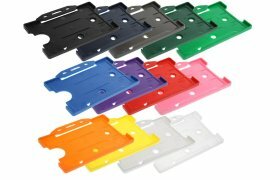 Card holders, lanyards, plastic neck chains all good quality to compliment your printed ID cards.